The sheddies have a specific procedure- they add their shed to www.readerssheds.co.ukand then the finalists get chosen by the Great British public.e idea from running his website www.readerssheds.co.uk since 2000 and he realised nothing was out there celebrating the Great British shed- so he started Shed of the Year in 2007.celebrating the Great British shed- so he started Shed of the Year in 2007. I do get to meet the ?sheddies? ? I try and meet as many as I can, this year was slightly different as a lot of us met whilst filming for Channel 4, which was great and I hope to meet many more in the coming year, I?m even thinking about a shedfest at some point soon. The prize consists of the title Shed of the Year Winner 2014, a plaque and a £1000 prize as well as lots of products from their sponsors Cuprinol. Andrew feels the winning ?sheddie? should be passionate and they have an insight into doing something different with their shed. 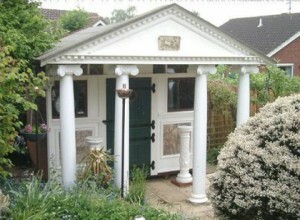 Andrews favourite shed winner so far was the very first winner in 2007; Tony and his Roman Temple. ?It still makes me smile every time I see it- yes it may not be a normal shed but it shows what can be achieved.? For Shed of the Year 2014, Andrew explains he is looking for something he hasn?t seen before- but also a shed that?s made out of all sorts of materials. You need to have a hand and a can do attitude. 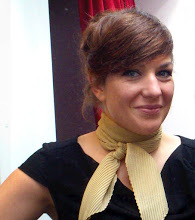 Laura Clark formed Lamp Architectures four years ago specialising in conversions, new builds and extensions. However, Laura didn?t always want to be an Architect- in fact she wanted to be a surgeon until the age of 16! This all changed when she went to University in Glasgow and fell in love with the buildings and ArLaura?s degree show consisted of a shed her and her father built together, overnight. Yes, you heard that right-overnight! Laura based her show on the regeneration of Holyhead and completed the presentation inside the shed she built.chitecture there, which made her realise she needed to follow her dream so she studied at the Mackintosh School of Architecture as well as the Liverpool School of Architecture where she graduated in 2007. 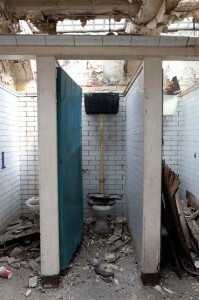 Laura?s big project was the Crystal Palace Underground Toilets conversion which she developed into a one bedroom subterranean dwelling. 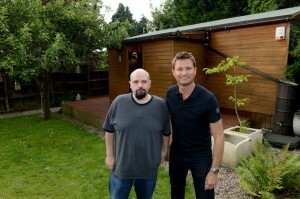 The project was shown on Channel 4?s Amazing Spaces, which is where Laura knows the other ?Shed of the Year? judges. Laura feels the show is a brilliant way to express yourself creatively, but done in a simple way. Laura explains that the ?Shed of the Year? process is really fun but deciding the winner is hard- the judges meet the ?sheddies? find out their background and look round their sheds. ?I?m always blown away by the effort put in.? Finding the winner isn?t an easy decision, Laura looks for that special person that has taken it to the next step, used all handmade products and for a ?shed that isn?t just a shed.? Laura?s favourite shed so far was last year?s winner, ?The Boat Roofed Shed? designed by Alex Holland- she loved the fact the design was distracted by one found object, windows. Laura?s future plans are to continue ?shedding!? Her and Max (one of the other judges) are currently building a shed in Darlington not just from timber but using unlikely materials. ?Watch this space!? We certainly will be Laura. Who knows you could be taking part in ?Shed of the Year 2015!? Brilliant interview with a very interesting, inspiring and hard-working young lady. 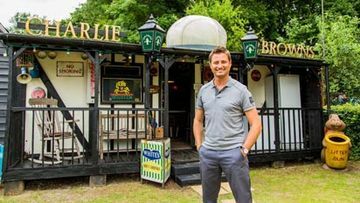 Max McMurdo has always been a lover of sheds and he is one of the five judges taking part in Shed of the Year on Channel 4. 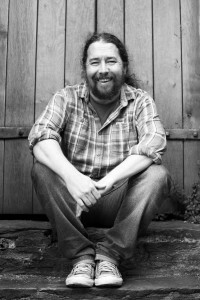 Max established reestore LTD in 2003 when he became uneasy at the consumptic focused ways of the traditional design world. 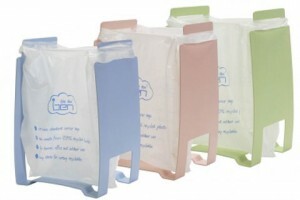 He has a 2:1 degree in product design and visualisation from Bournemouth University. 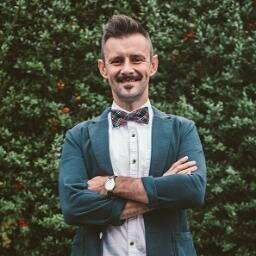 I was lucky enough to interview this fascinating man- who really has done it all! Where did your passion for design start? 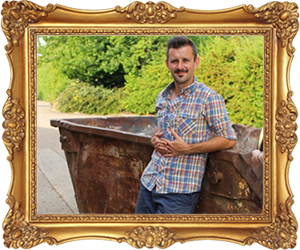 What was your reestore pitch you took onto Dragon?s Den? Well I didn?t think for one minute they would invest in little me- I was only after exposure for my upcycled furniture and recycling bin. I see Deborah and Theo invested in you, has this become successful? Yes absolutely, I now think about my business like a sensible adult rather than the childish mad inventor I was pre Dragon?s Den! Fabulous news that The Body Shop took on your product! Explain what a bath tub chair is? 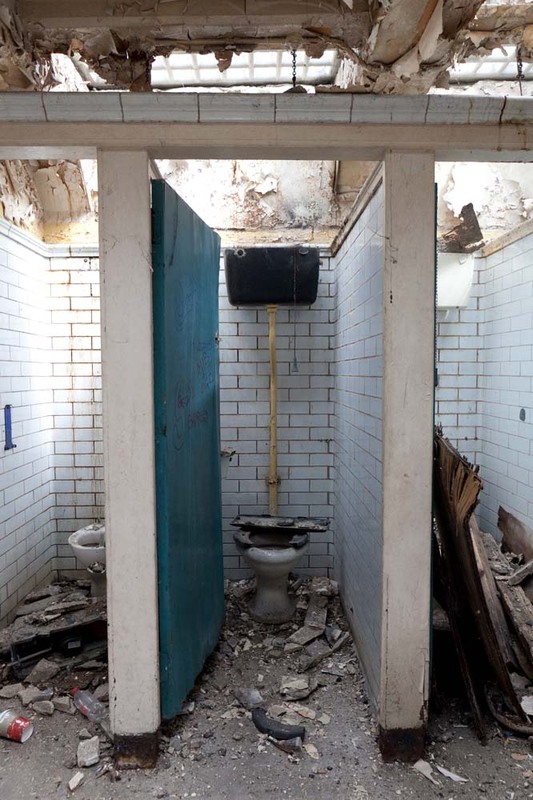 It is literally a single seated chair produced with half a salvaged roll top cast iron bath, they have hundreds of them in their stores worldwide. 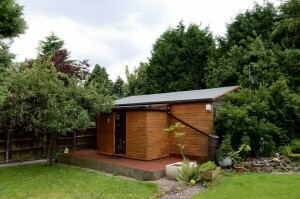 What made you want to take part in Shed of the Year? Partly my obsession with mad inventors in sheds, partly because my business started in a garden shed and finally, who wouldn?t want to work with the Amazing Spaces dream team!? What is the process you have to go through to decide who wins? What has been your favourite shed winner so far? I absolutely fell in love with the tea-pot. Absurd yet beautiful. You must get thousands of entries, what do you look for in a winning shed? What are your future plans? Will you be taking part in Shed of the Year 2015? I would sign up to shed of the decade! I absolutely loved being involved in the series! Max is so talented and interesting to talk to- he has invented many unusual productions. Including, ?fat bird? 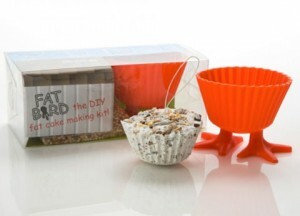 which has sold over 50,000 units- it?s a kit that enables you to turn left over cooking fat into cakes for birds! 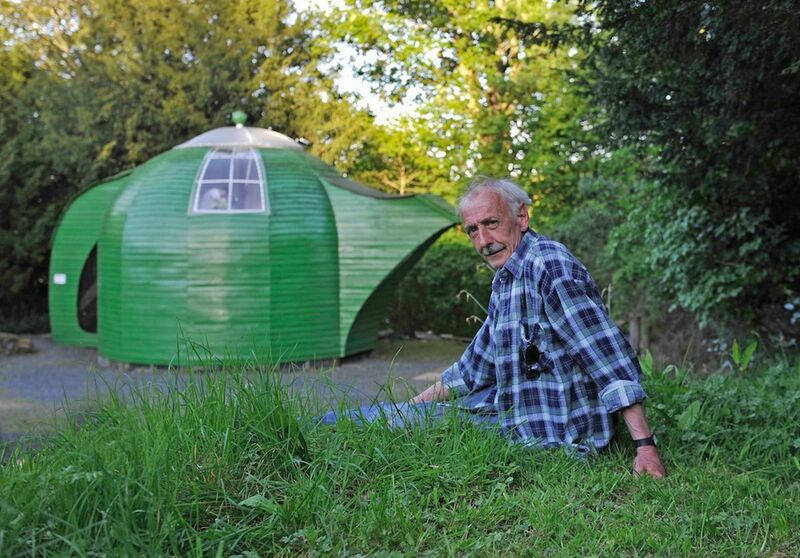 I interviewed Paul Slim from Stourbridge about his shed entry on Shed of the Year 2014 and he feels being a finalist in the ?Unique Shed? category. He explained he has been a ?sheddie? since 2009 and he needed a purpose built building to exact dimensions and his existing building didn?t quite fit the job. 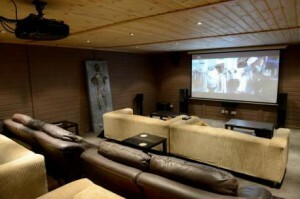 Why a cinema shed I hear you ask? Well, his living room used to be a cinema room set up with a projector and surround sound but, when his girlfriend moved in she wanted the cinema room to revert back to the living room it once was. But as she is also a film lover she still wanted a cinema room, therefore, Paul spent the summer kitting out their garden shed into the new cinema room with a 119-inch television, surround sound system, six sofas (enough for 20+ people to sit in), a couple of games consoles, hot and cold drinks, movie memorabilia pick & mix and snacks. He has called his cinema ?Reelwood? and it will competing against the other unique sheds in Shed of the Year 2014. ?When I worked for Best Buy, I even had staff meetings in the shed with surround sound training.? Paul explains that it didn?t take as long as you would expect to design it, but the hardest part was finding a company that would build it! They all wanted to use expensive materials or put windows everywhere. It needed to be completely blacked out for the projector. In the end Paul chose a local company called ?Garden Pleasure? to build the shed- they started in April and finished by July, they built the whole exterior whilst Paul fitted the speakers and did the wiring, the company then returned to put the internal walls in. ?They couldn?t quite believe it was one of their sheds, they kept coming back to visit!? Entering Shed of the Year was actually a coincidence for Paul, he was searching for Cuprinol online and it lead him to www.readersheds.co.uk and he noticed Cuprinol were sponsoring the competition and entered. ?Thank you to the public for voting for me!? He has more plans in the future for ?Reelwood? he wants to get into D-box sets that move with action, higher quality projectors and Dolby Atmos sound systems so you can have speakers in the ceiling! 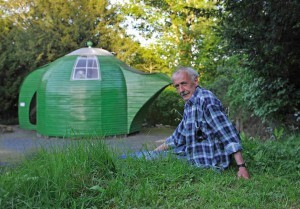 What an interesting man and we wish him the best of the luck in the future and the competition, his shed certainly is unique and not your usual garden shed full of tools and bikes!